There are many forms of Semi-Permanent makeup, but our most popular is Microblading. 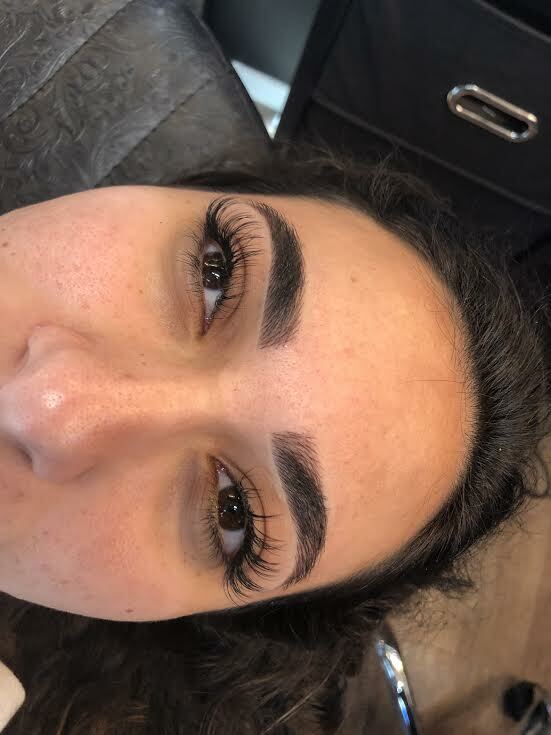 Microblading is a form of a temporary tattoo. 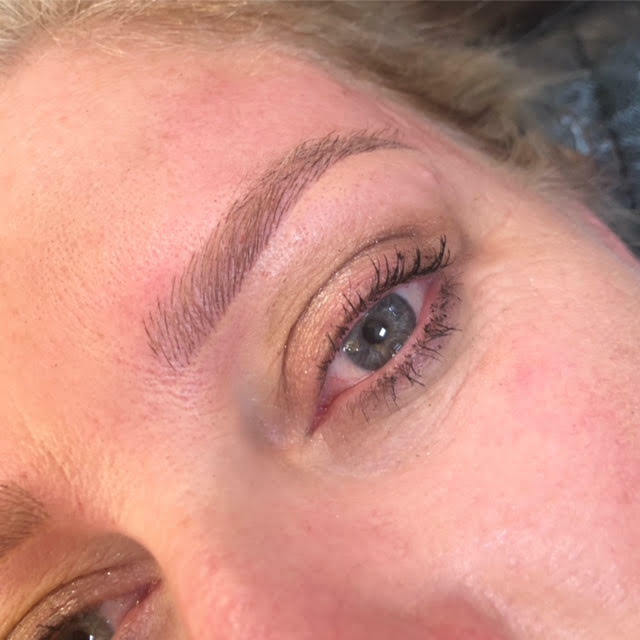 A microblading artist uses a manual handheld tool that creates hair-like strokes, mimicking the natural hairs in your eyebrows. Hour Service. The other popular Semi-Permanent makeup service we provide is called Blade & Shade. 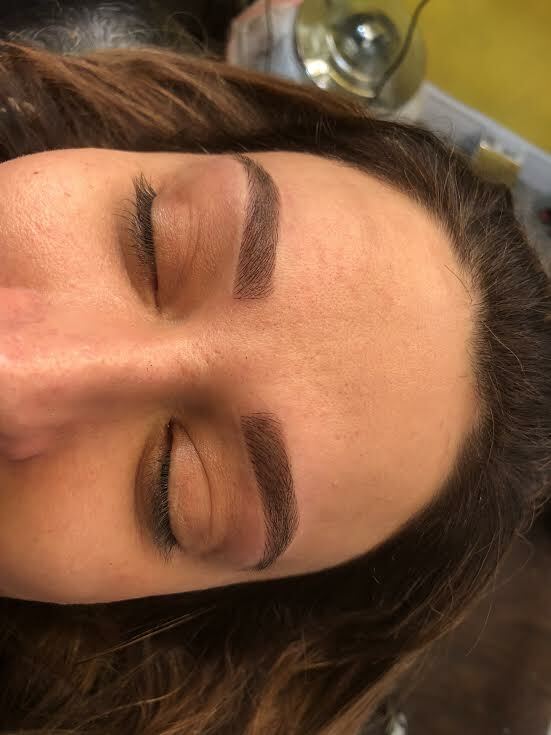 This service consists of Microblading followed by a semi permanent shading technique. This combination fills in the brow to give a more dramatic makeup look. Arched also does Semi-Permanent Eyeliner. Only one of artists does this service and has been praised for it. The line is created by a cosmetic tattooing machine which uses temporary ink. 1.5 Hours. *All services MAY last up to two years but we recommend yearly touchups. Second Session Policy: ﻿If client fails to notify salon 24 hours in advanced, a 2nd deposit is required for missed appointment. Consent forms will need to be completed upon arrival. Please arrive 15 minutes early to start the numbing process which takes about 20-30 mins. Late Policy For All Appointments: Clients who are 15 minutes or later will be listed as a no show and will lose their deposit. A new deposit will need to be paid. *Please note that an eyebrow refresher appointment is recommended every 1-2 years. A full session will be required.